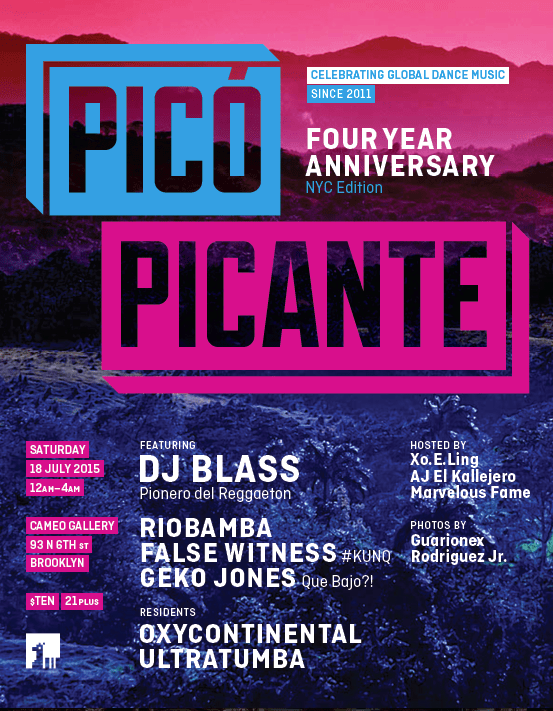 Picó Picante Four Years in Boston/NYC! 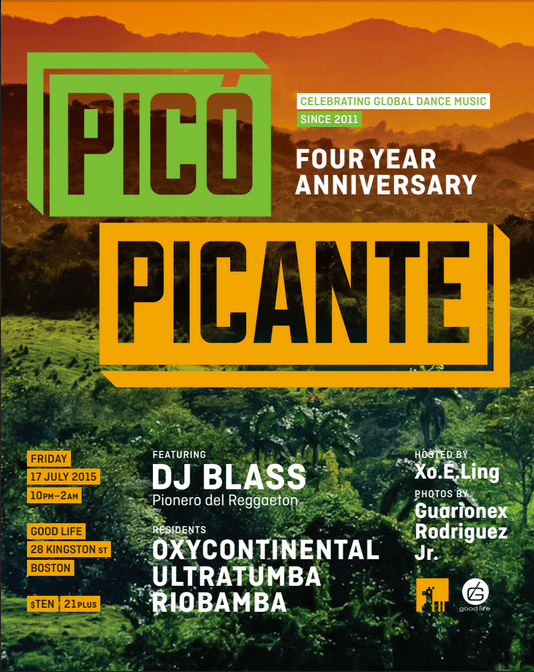 Can hardly believe it, but PICÓ PICANTE celebrates our fourth anniversary this weekend, and for the occasion we’re bringing the party to Boston/NYC for a reggaetón rave of dreams. DJ BLASS, a.k.a. el artesano del reggaeton, a.k.a. producer for Daddy Yankee, Casa de Leones, Wisin y Yandel, Jowell y Randy, Tego Calderón y más is headed to the East Coast to join us live and direct from Arroyo Puerto Rico. Residents OXYCONTINENTAL, ULTRATUMBA, RIOBAMBA and XO.E.LING are headed for both dates, plus photo luv for eternity from GUARIONEX RODRIGUEZ JR. In New York we have very special guests GEKO JONES [Que Bajo?!] and FALSE WITNESS [#KUNQ], plus hosts AJ EL KALLEJERO of La Mega 97.9 and cantante/reggaetonero MARVELOUS FAME. We can’t wait to celebrate with you!